Knowing the names of things is a critical skill that influences a child’s future reading success. We call this skill Vocabulary. There are 171,476 words in the Oxford English Dictionary, including an additional 47,156 out-dated words. That’s nearly a quarter of a million words! Whoa!! It can be very humbling for parents and caregivers to reflect on the massive amount of knowledge that kids require before they can become proficient readers. 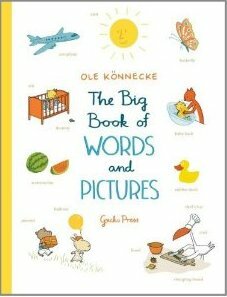 I recently came across a charming little book that celebrates the vocabulary words that surround us each and every day of our lives. 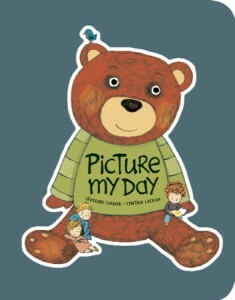 This beautifully constructed book takes readers through a day in the life of a child. From sunrise to sunset, objects abound and each is given its own name and label. There is something very comforting about seeing names attached to things. Learning vocabulary has never been so delightful! (Bonus: Listing the name beneath the image reinforces how the printed word works, another skill kids will need to master before learning to read). This book is tailor-made for sharing with a young person one-on-one. It is cram-jammed with opportunities for curious children to ask "what's that?" For every object that is labeled, there are dozens that aren't. 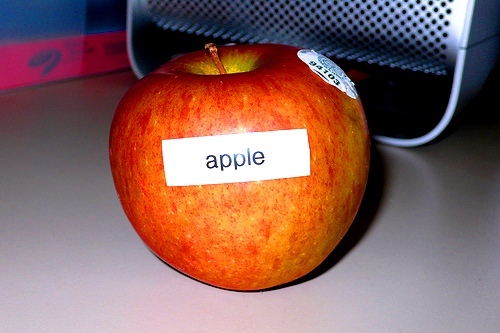 I am tempted to get my hands on a label maker and start sticking names all over my home! This title is jumbo-sized and covers quite a bit of ground, from counting and the alphabet to parts of the body, shapes and colors. 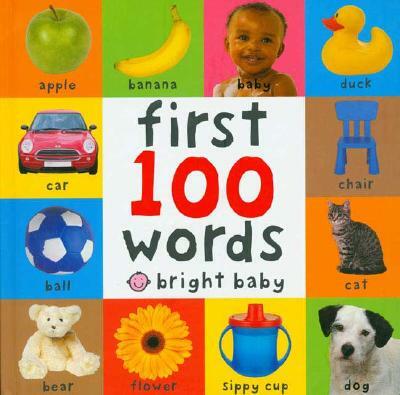 This title is geared squarely toward toddlers, focusing on familiar objects the permeate baby's world. I couldn't resist including this book. Originally published in 1963, this ranks as one of my first book crushes. 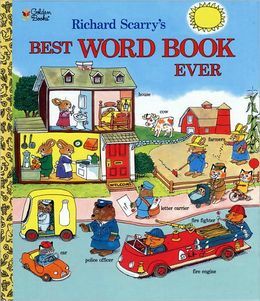 Richard Scarry's Busytown animals make great guides for this "best word book ever." Every bit as popular today as it was 50 years ago!